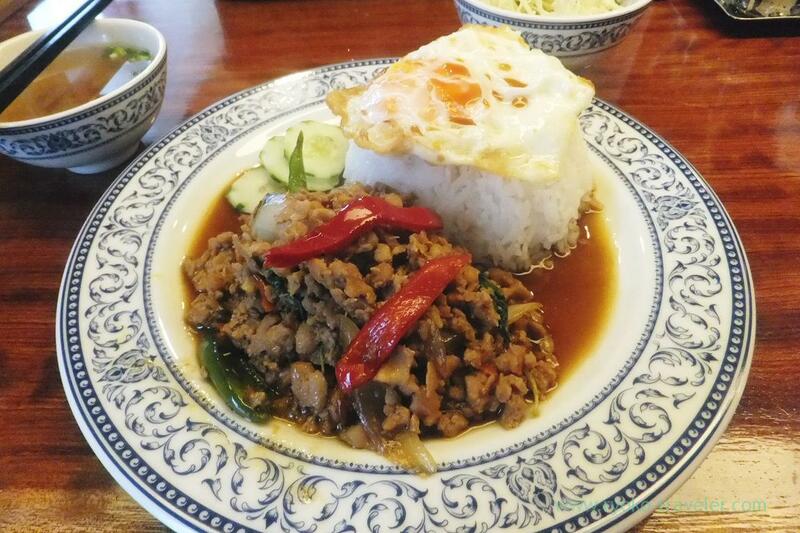 You can eat Thai foods at Tsukiji, too ! 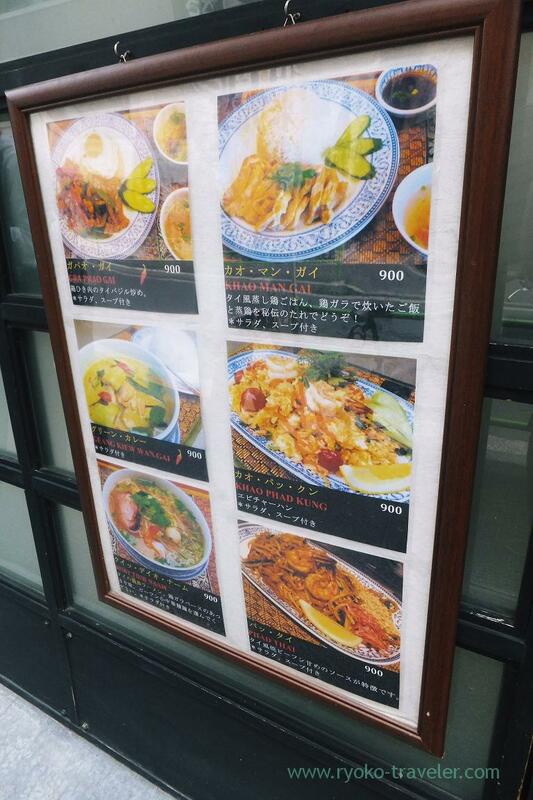 There are many attracting lunch spots a little some distance from the center of Tsukiji. Walking around there is really fun ! 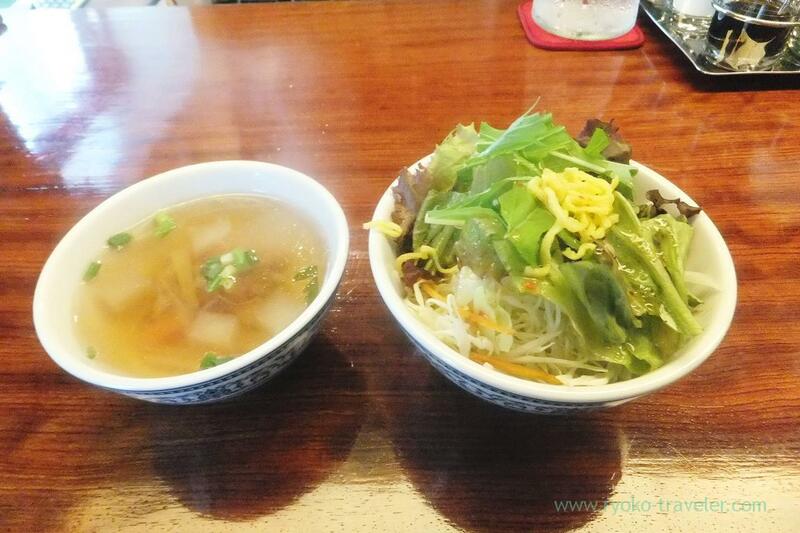 This restaurant is further from Hajime Sengyo-ten that is my favorite lunch spot. 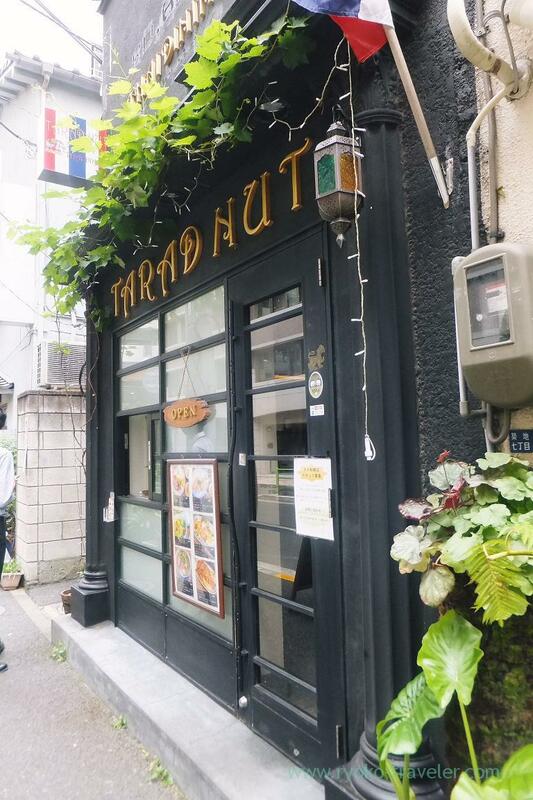 But I tried Tarad Nut. There is long counter table surrounding the kitchen and there is a window for accepting orders of bento besides the door. They sell bento for 600 yen and it is more inexpensive than eating in the restaurant. So, there are more people buying bento than eating inside the restaurant. I chose Gapao Gai (ガパオ・ガイ, 900 yen). Fried chickens with basil. The set have salad and soup because I ordered it inside the shop. While eating the salad and the soup, my gapao was served soon. It looked cute, but the amount of rice was large… The fried foods, too. The rice was Jasmine rice 🙂 The sauce soaked into the rice well ! The texture of the rice was good. But it was rather Japanese tastes. It was seasoned with Japanese soy sauce, not nam pla (Thai fish sauce). Anyway, it was large ! I managed to eat it up ! There is a sushi restaurant next to Tarad Nut and I also want to visit there ! I can’t come back to my office withing 60 minutes !